1st Juice: Thursday night 4/24. This is an online, guided, group program. guidance, teaching & support from Jason & Tracy. The preparation for the fast will begin on Wednesday 4/23. The first juice will be Thursday night 4/24. The day before (4/24) & after (4/30) are partial cleanses consisting of clean simple eating. You will get details when you register. The last day of the cleanse is Wednesday 4/30 (this will be a day for reintroducing food, depending on how long you choose to juice). You will have the option to do 3 days or a 5 day juice fast. Don't wait. You will want time to prepare yourself. Call or email with any questions. Register online NOW at www.tracyrobin.com/shop/ & give yourself time to purchase the juicer & prepare to be cleansed from the inside out. To listen to the recording of the FREE Call dial (559) 726-1399 and enter the access code 137015. (approx 30 mins). For the past 20 years, Jason and Tracy have experimented with various methods of cleansing their bodies, both internally and externally. 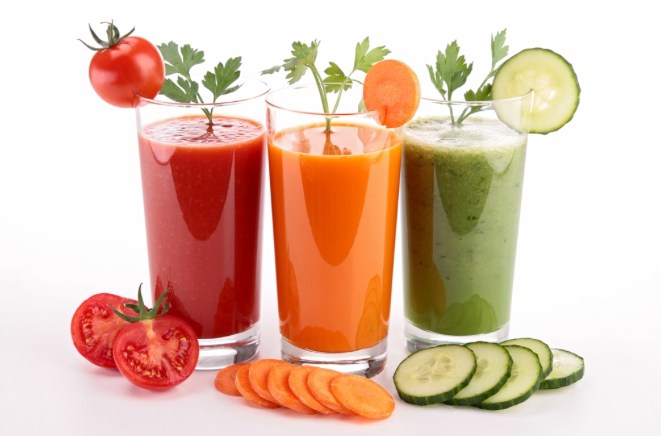 Out of all the different options out there, they have found juice fasting to be one of the most comprehensive ways to detoxify and rejuvenate the body, mind, and spirit. When you step away from the everyday feeding routine you can create new, healthier habits.